– Ask yourself why you want to work with this population. It is always great to examine our own motivations before jumping in with others. – While you are not talking about heading out to a foreign state or county, some preparation will give you a good foundation. 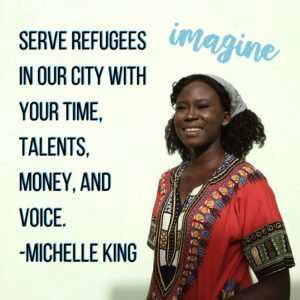 To effectively advocate, interact empathetically with refugees, or decide where to give your time, money, or other resources, first learn about the reasons behind immigration and the paths to becoming a resettled refugee or immigrant. Also, take some time to educate yourself about different cultural norms and customs. – While we all bring different skill sets to the table, it is important to admit when you do not have all of the answers or know the best next steps, especially for those who may have specific immigration status restrictions for benefits. Helping to connect people to organizations who know the ins and outs is actually more loving than trying to plow ahead with them into the fray sometimes. – Active listening is essential and often makes a huge impact. It is one of the needs of each and every person on the planet, to have someone truly listen to them. 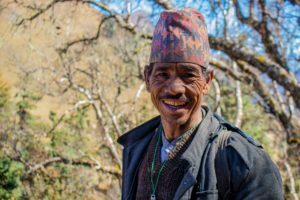 – We all know that empowerment and self-sufficiency can sound like buzz words, but helping someone to gain the skills and knowledge they need to be able to do things for themselves when possible is something that will have a lasting impact. While it is easy to think in these terms when dealing with children, learning is a lifelong process. At times, we all benefit from having someone come alongside us and helping us to learn and practice skills. What if you are not naturally encountering many refugees and immigrants throughout your day? Volunteer. Many organizations have ongoing volunteer opportunities, including mentoring, English tutoring, cultural orientation assistance, homework help. Many also offer one-time events or smaller commitments, such as back-to-school events and stocking food pantry shelves. Contact resettlement agencies and other organizations working with refugees and immigrants to find out what their needs are. They may be looking for someone with your specific skills or experience. Often there is a need for help with resume writing, teaching driving skills, identifying leads for housing and employment opportunities, and more. Contact organizations who are doing the work and help them with fundraising events, supply gathering, and food drives. One of the biggest needs is often emergency assistance funding that can be used when families experience a crisis or other unexpected situation. Get informed, become an advocate, dig deeper than the headlines. Agapao – Serve by supporting refugees in the South Hills and helping them practice ESL at home. Michelle King is a Service Coordinator for the Immigrant Services and Connections (ISAC) program at South Hill Interfaith Movement (SHIM).